Looking for the best car service and car repairs in New South Wales? You’ve got a Lube Mobile near you! Wherever you live or work in New South Wales from Sydney to the outer suburbs, just contact Lube Mobile anytime you need car service or car repairs. We can do your job onsite. We’ll be right over! Car service at your home or at work. An itemised quote with no hidden costs. Motor Industry of Australia code of conduct professional standards. Expert local service whenever you need it. Urgent car service or car repairs. Best quality industry standard parts only. Full 12 month or 20,000 km warranty nationwide. 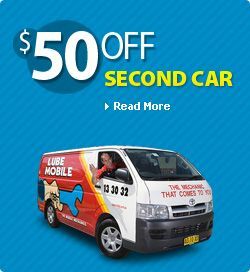 You can find your local Lube Mobile mechanics in New South Wales right here! Get the best car service and car repairs in New South Wales at your door! When you really want the best, just call us. We come to you onsite, wherever you need us, whenever you need help. Our expert mobile mechanics are equipped to do all the work of a workshop. Whatever you need done, just book your service call and leave the rest to us. Bookings are so easy - Just do one form, and you’re on our schedule! You can book right here! Just fill in this form, tell us what you need, and we’ll be there for you when you want us.